Love was a central component in John’s theology. 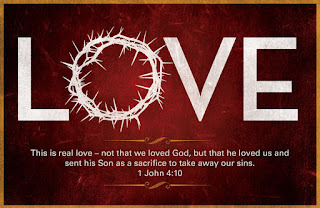 John reminded Christians in 1 John 4:7-21 that God is the standard and source of real love. In order for the believers to whom John wrote to grow in their Christian experience, they needed some instruction regarding the nature of God’s love. This is the focus of the Explore the Bible study this week. How can we as a group do a better job of showing others the love that God has for them? Consider your life this past week. How did you demonstrate love to others? Do you know a believer who is difficult to love? How can you allow God to love through you for the good of that person? In what other ways can we love sacrificially this week?